The terms “atherosclerosis” and “arteriosclerosis” bear distinct similarities, but they are far from being interchangeable. This article provides information on the differences between these two medical conditions. Atherosclerosis is the accumulation and build-up of plaque inside the arterial walls. As the artery thickens, the circulation of oxygen-rich blood becomes compromised, leading to cardiovascular diseases such as peripheral vascular disease, stroke, and heart attack. Arteriosclerosis is the hardening or thickening of the arterial walls due to aging and other risk factors. As the arteries lose elasticity due to the decline in the production of elastin, the arteries become narrowed, which in turn constricts blood flow. Even though both medical conditions can lead to cardiovascular problems, there is a notable difference between atherosclerosis and arteriosclerosis. Atherosclerosis is the progressive accumulation and build-up of plaque inside the arterial walls, while arteriosclerosis is the hardening or thickening of the arterial walls. Atherosclerosis is a medical condition that occurs due to the build-up of plaque inside the lining of the arteries. Over time, fatty deposits accumulate in the arterial lining due to smoking, elevated blood pressure, and elevated cholesterol levels, thereby causing atherosclerosis. While arteriosclerosis is also caused by plaque accumulation, it is also linked to two other predisposing factors: 1) the loss of elasticity of the arterial walls due to aging, and 2) the calcification of the arterial walls. Between the two, arteriosclerosis is broader in scope. Atherosclerosis is basically a type of arteriosclerosis, which explains why the terms are sometimes used interchangeably. Both medical conditions pertain to the thickening of the lining of the arteries. However, there are still differences in terms of the size of the arteries they commonly affect. While arteriosclerosis is common amongst arterioles or small arteries, atherosclerosis affects medium or large arteries. Atherosclerosis is a type of arteriosclerosis, which is further classified into three different types: 1) atherosclerosis (the build-up of fatty deposits in the inner lining of the arteries); 2) arteriolosclerosis (the thickening of the arterial walls); and 3) Mönckeberg’s arteriosclerosis (which is the calcification of the arterial walls due to loss of elastic fibers and muscles in the body). Lastly, the changes in the arteries of a patient suffering from arteriosclerosis are dependent on several factors. 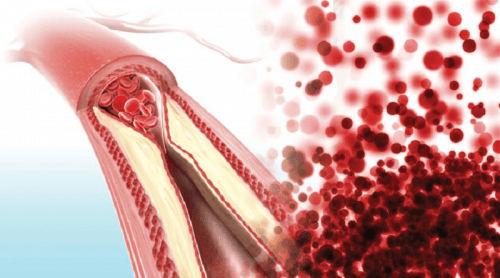 Unlike atherosclerosis, which is solely caused by plaque build-up, arteriosclerosis involves a condition called intimal fibrosis, which pertains to the growth of excess fibrous connective tissue found in the innermost layer of the arterial wall.